Group Travel at Beans Boat Trips from Morston Quay01263 740505work Group VisitsA family run business for over 50 years. Conducted boat trips all year round to see seals and birds in their natural habitat on and around Blakeney Point. Licensed boats and knowledgeable crew. Special party rates - price on application. An ideal trip for all ages. Group sizes - min 12, max 170. Pre-booking essential. Allow 1-2 hours. Cafe on the quay. Accessible for most disabilities. A family run business for over 50 years. 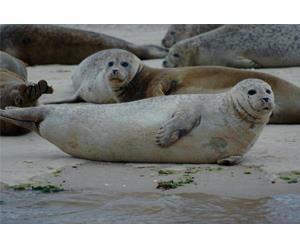 Conducted boat trips all year round to see seals and birds in their natural habitat on and around Blakeney Point. Licensed boats and knowledgeable crew. Special party rates - price on application. An ideal trip for all ages. Open throughout the year, times change daily due to tides. Please call or see online timetable. Adults / seniors £8, children £4.50. Individual group pricing on application. Turn of the A149 coast road in the middle of Morston village to Morston Quay (signposted). Follow track to bottom opens to car park. Departure point approximately 200yds further on.